FRANCE: French president Nicolas Sarkozy has announced the country's first tender to build offshore wind projects with a total capacity of 3GW. 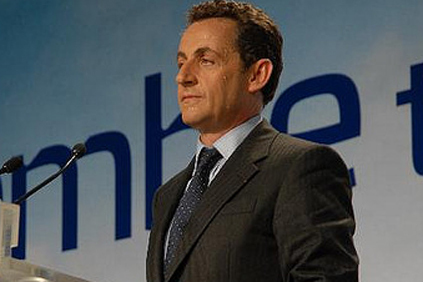 Sarkozy has said the projects would cost around €10 billion and would be located at five sites on the country’s north-west coast. These are Saint-Nazaire, le Trépot, Fécamp, Courseulles-sur-Mer and Saint-Brieuc. EDF Energies Nouvelles and Alstom have said they would be bidding jointly for the projects. According to reports, the deal would involve Alstom supplying 6MW turbines to the projects. France is planning to develop 6GW of offshore wind capacity by 2020. Onshore and offshore, it is targeting 25GW although there are doubts whether this is feasible. According to a report by independent economic research bureau Xerfi, France will miss the 2020 target by 10GW. Installed capacity in France will not exceed 15GW by that date, the study concludes, far short of the 25GW required. The current total stands at around 5.3GW.